You’ll yell, “Cowabunga!” as the turtles shred their way into your heart in 40 episodes from Season Four of their awesome hit series. 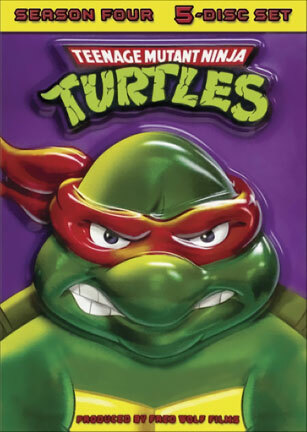 Michaelangelo, Raphael, Leonardo, and Donatello are bringing it to the most dastardly ensemble of evil-doing freaks, mutants, and bad dudes you’ve ever seen. Don’t even think of missing the most radical action ever to mutate onto DVD.